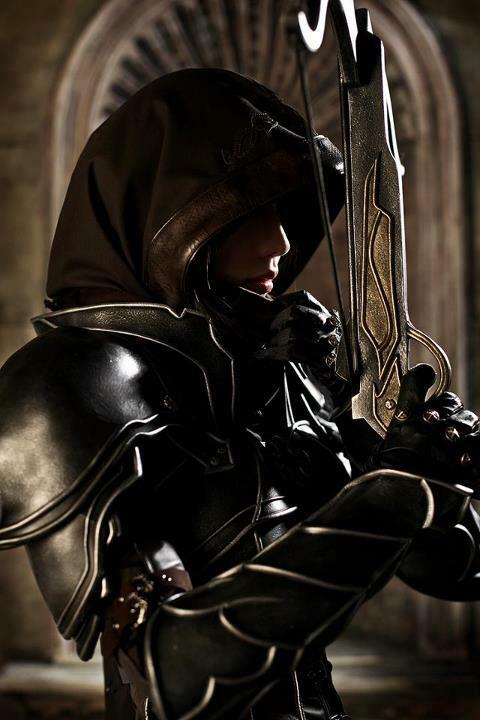 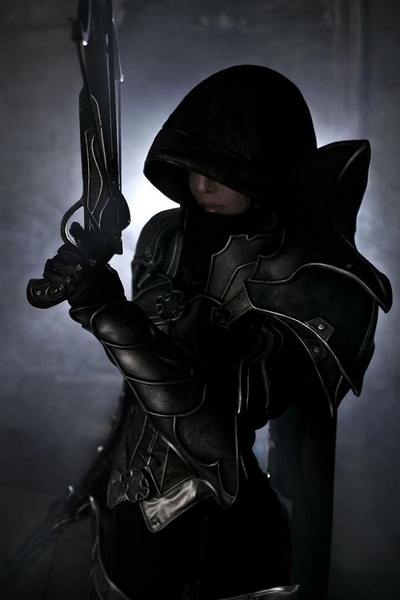 TASHA is cosplaying as Female Demon Hunter from Diablo 3. 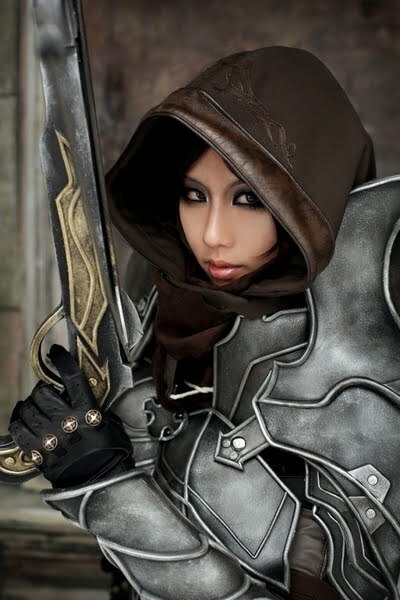 The Demon Hunter is a Character Class from recently released dark fantasy/horror action RPG by Blizzard Entertainment. 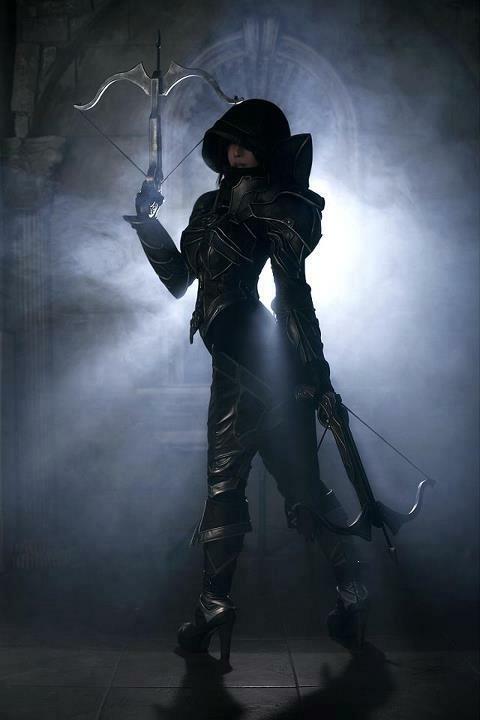 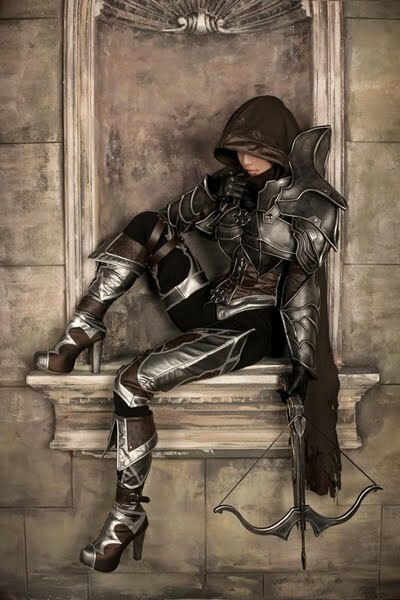 The Demon Hunter Class combines elements of the earlier Amazon and Assassin classes. 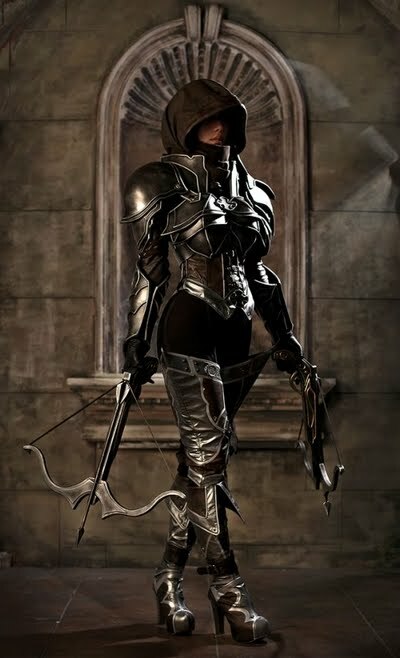 Demon Hunters use regenerating resources of Discipline for defence and Hatred for attack, with their principal weapon being the crossbow, supplemented by small bombs, which are thrown at their enemies.